A lively and entertaining look at early Ontario history. 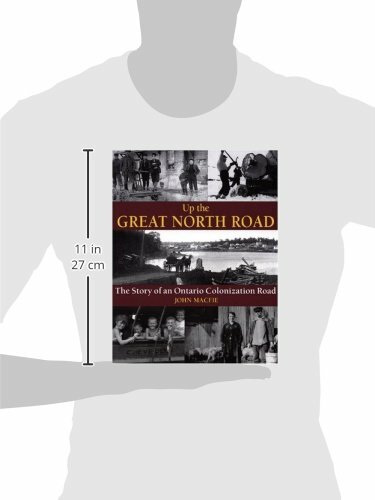 This is the illustrated history of the Great North Road. 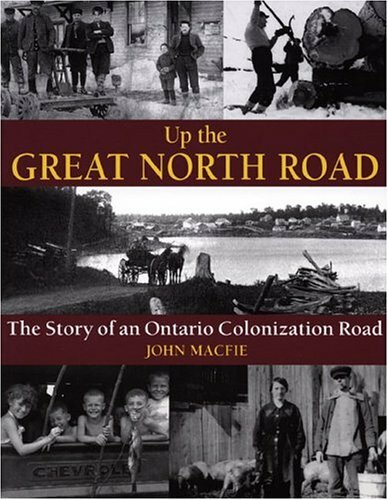 In 1870 the author's great-great uncle James Macfie, a middle-aged bachelor of Scottish birth, crossed Georgian Bay from Collingwood, Ontario, to the fledgling village of Parry Sound, where he found work with a crew clearing a wagon road into the hinterland. Ten years later, the author's grandfather Frank Macfie followed his Uncle James up that road, forging the second link in a chain of events that led eventually to this book. The path these pioneers followed was known as the Great North Road (also called the Great Northern Colonization Road), one of a score or more colonization routes that, beginning in the 1850s, the Ontario government pushed into the rock-ribbed southern flank of the Precambrian Shield to admit agricultural settlers. It was Man against Nature in its most primary form -- bareknuckled roadbuilders and homesteaders attempting to transform a rugged landscape containing the most ancient rock on the continent. 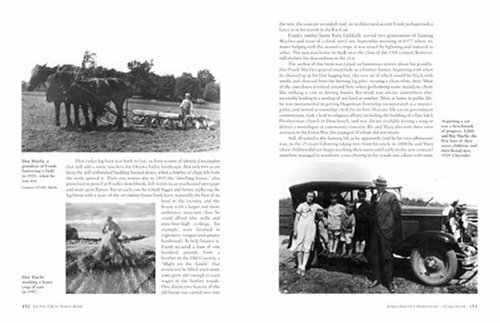 Most of the land proved unsuitable for crops, but a great many families settled along the road nonetheless, and they and their descendants created some of the province's most proud and picturesque communities along Georgian Bay. 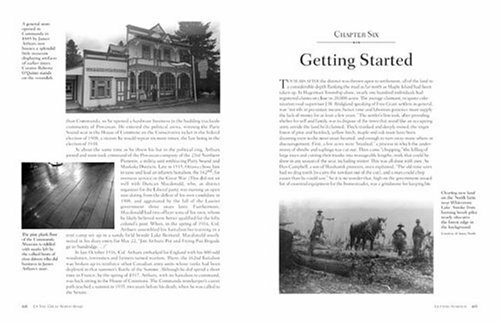 This fascinating book is filled with stories and photographs the reveal a little-known aspect of Ontario's history.